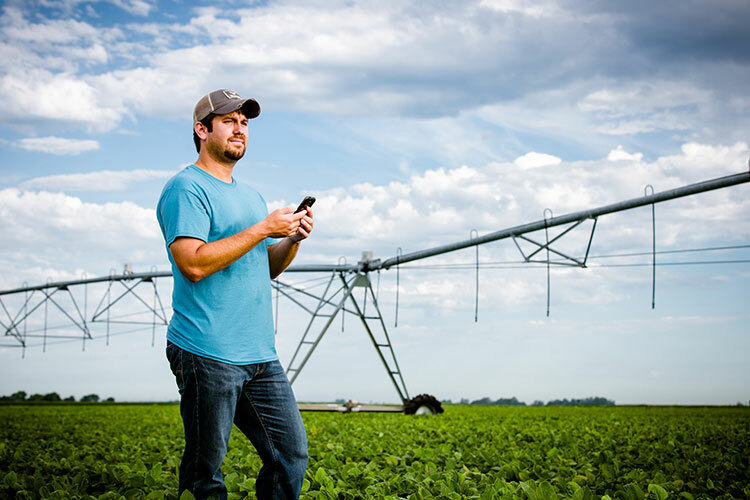 With the latest update of their industry-leading remote irrigation management app, AgSense users can send commands to an entire group of center pivots. AgSense®, the industry-leading remote agricultural management technology from Valley®, recently launched an updated, improved version of the AgSense mobile app. The enhancements give growers increased ability to remotely monitor and control their entire irrigation operation from anywhere, at any time. With the Interactive Table Editor, AgSense users can set angles on Speed and End Gun tables by tapping on the screen or by using a phone’s location services to set angles from the field. Groups – Multiple AgSense devices can be sorted into Groups, making it easier than ever to set up an irrigation schedule for all devices within a group. Timed Commands – New graphics and more control options for editing a device’s irrigation schedule with a single tap of the screen. GPS Enhancements – Growers can now set angles for Stop-In-Slots, End Gun Tables and Speed Tables with GPS pinpoint precision. 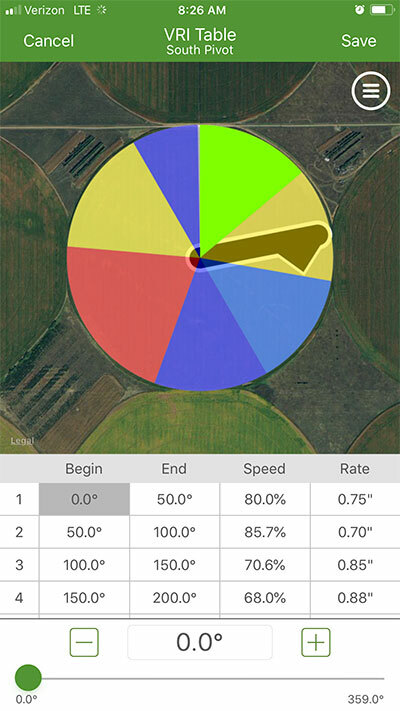 Track water usage simply – The new “Yearly Allotment” graphic was added to improve tracking of a pivot’s water usage throughout an irrigation season. Weather – The main Login screen received the addition of a “Demo Weather” button that will take users to a site showing data collected by AgSense Weather Stations at AgSense dealerships. Valley Irrigation founded the center pivot irrigation industry in 1954, and our brand is the worldwide leader in sales, service, quality and innovation. With historical sales of more than 200,000 center pivots and linears, Valmont-built equipment annually irrigates approximately 25 million acres (10 million hectares) around the world. We remain dedicated to providing innovative precision irrigation solutions now and into the future. For more information, please visit valleyirrigation.com.